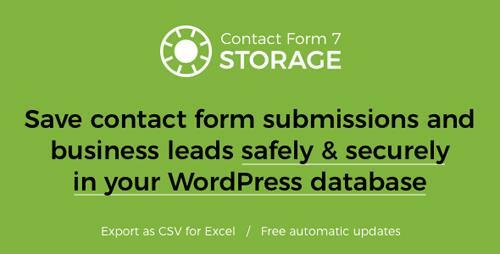 Contact Form 7 Storage stores all Contact Form 7 submissions (including attachments) in your WordPress database (DB). 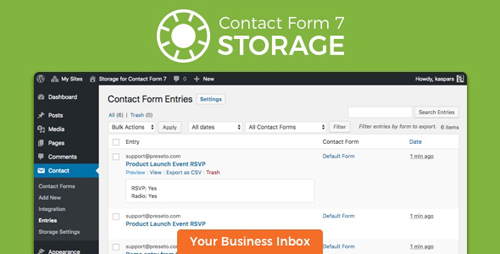 All contact form entries and business leads are stored safely even if the e-mail notifications go missing or get deleted. New in 2.0.0: Settings for disabling user meta data storage (for GDPR compliance purposes) and form export settings to specify which fields are included in the export.